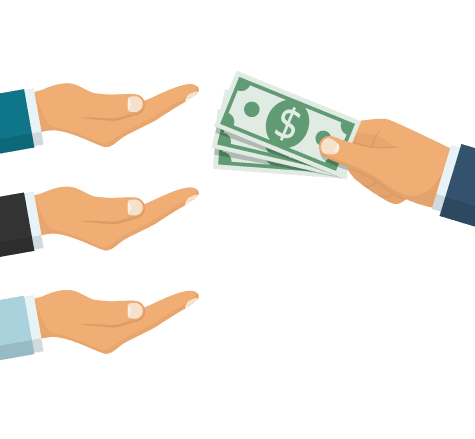 A complete on-premise human resource management solution that will help you maximize every dollar you invest in your employees. Improve HR policies and make smart decisions with today’s most comprehensive, customizable HR software for small and medium-sized businesses. Save time, reduce employee turnover, and easily identify internal candidates for leadership roles. Sage HRMS Cyber Recruiter automates and streamlines the entire recruiting, hiring, and on-boarding process. New hires then use self-service tools to help them feel part of the business quickly and easily. Spend less time on painful paperwork by empowering employees to select benefits via open enrollment online. You’ll also eliminate the costly errors associated with duplicate data entry and missed enrollments. Act on precise, rich workforce analytics and employee information about their skills, demographics, insurance and more. Sage Business Cloud People is a global cloud HR and People Management System, for mid-sized multinationals (100-5000 employees), which transforms the way organizations acquire, manage and engage their people, improving workforce visibility and compliance, increasing productivity, while delivering great workforce experiences. Sage People is quick to implement, easy to use, and configured to suit your business needs. Sage Business Cloud People helps medium-sized companies shift from HR transactions to new people processes. Trusted by millions of customers around the world, it delivers data security, privacy, reliability and scalability. 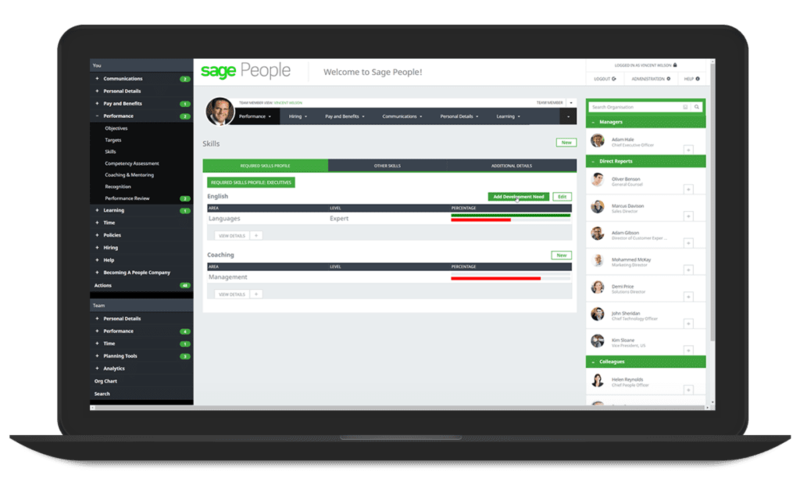 Sage Business Cloud People gives you instant visibility into your workforce with a single source of truth. Reports and dashboards provide actionable insights that enable you to make smarter business decisions. Quickly automate your HR and people processes through configurable workflows. Be able to offer flexible and responsive support for your changing people needs as your business develops. Manage payroll smoothly your way and within your budget. Sage Payroll Essentials and Sage Payroll Essentials Plus make it easy and affordable to pay employees and help you prepare accurate tax filing online—there’s nothing to install. You can file your taxes yourself with Sage Payroll Essentials, or have Sage Payroll Essentials Plus file your taxes on your behalf. And, you can integrate payroll with your accounting solution to make admin tasks that much easier. Regardless of your business’ size or industry, Sage Payroll Services has a solution that makes it easy to increase employee satisfaction, stay compliant with government regulations, and improve productivity. Only in Sage Business Cloud. Choose which aspects of payroll and taxes you want to manage yourself, and let Sage do the rest.